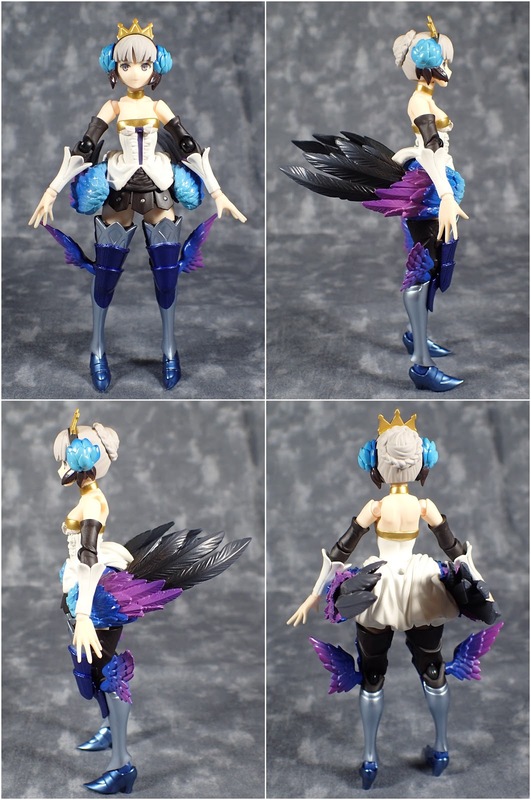 Gwendolyn the Valkyrie from Odin Sphere Leifthrasir is brought to us in figure form and I picked up the DX version which comes with the large outspread version of her wings. Although I know little to nothing about Odin Sphere I love the character designs so when I heard about this Figma I knew I had to get her. Her sculpt is fairly good, my only complaint is her shoulders could look better. Her articulation is your standard Figma system, her ankles are a little restricted due to her design, and her wings although on a Figma joint can't move that much and mine ended up leaving paint on her dress when I first swapped them out for the DX versions. 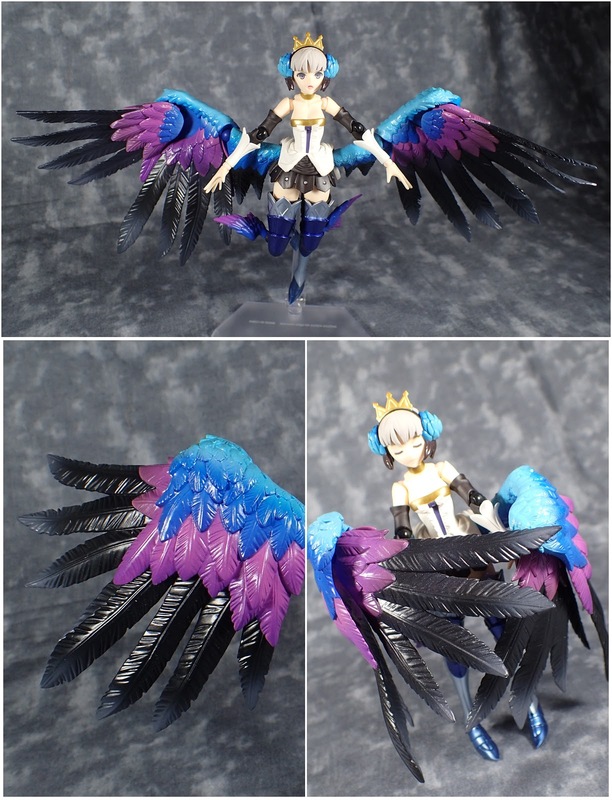 Her paint work for the most part is very good and neat with some very nice gradients on her wings. mine however has some paint chipping under her bust but from a distance it manages to look like part of her costume so its not too bad. For accessories she comes with a plain expression, an annoyed expression, a battle/yelling expression, and for the DX version a serene eyes closed expression. 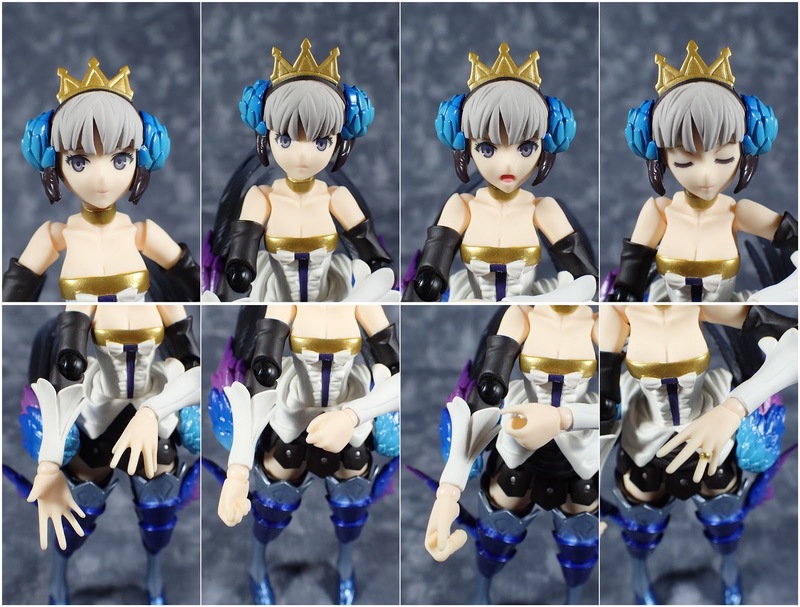 She also comes with several pairs of hands, a pair of open hands, a pair of fists, a pair for holding general items, and one open hand with the ring Titrel. Her shield is included and can be used with her holding hands and she has her Psypher spear with another pair of hands for holding it. Although her shield is a little simple in my opinion I like her spear. 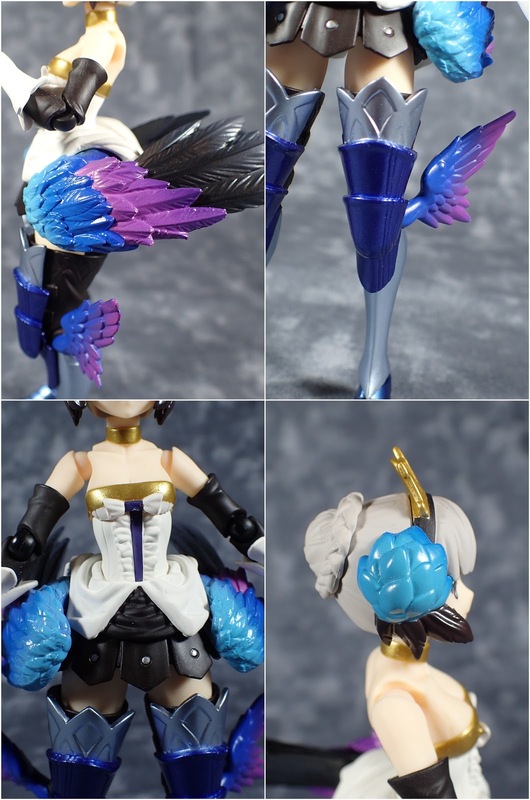 And the piece de resistance is her alternative wings - to use you simple remove her folded wings from their Figma joints and plug on her outspread ones. Once again they are well painted and once added have three points of articulation, at the hip, at the middle, and then a hinge at the tip to create a more spread out look. The only complaint is already the left wing's joint is getting loose as the wings are fairly heavy. However I think if you are going to get her the price is only really worth it if you pay the little extra for the large wings.